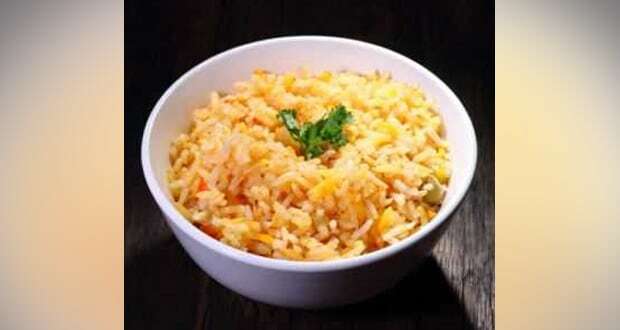 About Mavinakayi Nellikai Chitranna (Raw Mango & Gooseberry Rice) Recipe: Chef Naren creates magic with a tangy and exciting combination of amla, raw mangoes and rice. The mix is infused with the goodness of local herbs and spices and cooked to an aromatic, spellbinding perfection. 1.Wash and soak rice for 10 to 15 minutes. 2.Cook rice in draining method. Let it cool. 3.Remove seeds from gooseberries and cut them in fine pieces. 4.Remove the outer skin of mangoes and cut them in fine pieces. 5.Slit green chillies into two pieces. 6.Heat oil in a thick bottom pan and crackle mustard seeds. 7.Add channa dal, urad dal and cashew nuts.Fry until they turn light golden.Add slit green chillies, curry leaves and fry well. Add chopped gooseberries and raw mangoes, fry for 2-3 minutes. 8.Add turmeric powder, salt and mix. 9.Cover and cook on low flame for 6-8 minutes.Let the mixture cool. Add cooked rice to the mashed mixture and mix well.Season according to your taste.